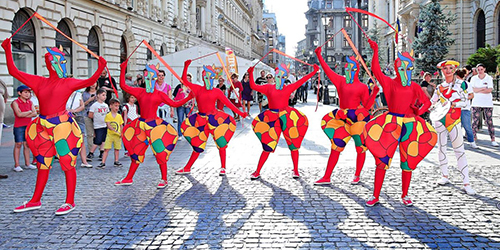 Street theatre is a form of theatrical performance and presentation in outdoor public spaces without a specific paying audience. These spaces can be anywhere, including shopping centres, car parks, recreational reserves, college or university campus and street corners. In our Truth-Optional news media we will witness a traveling circus for the next 2 weeks. It’s all about seizing the narrative, and shaping public opinion. It is not (it is NEVER) about truth. We have had a succession of about three stories per week that dominate the news. It’s been going on this way much more in the last 2 years. Before we “Move On” let’s bid a fond farewell to the Caravan news story, which may have lost its appeal. 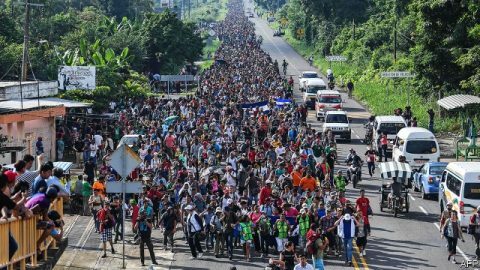 Although it may continue to find its way into the news, the Democrats are abandoning the Caravan story because of its unintended consequence of rallying and motivating the conservative base. The new darling of the Fake News is the Bomb threats against President Trump’s detractors. But wait! One of the Fake News stalwarts, the New York Times, may have accidentally let the cat out of the bag. And on FoxNews Dan Bongino pointed out that the bombs look extremely amateurish, which might make us conclude that they didn’t go off because they were made by an idiot. But Dan’s experience in the field runs to a contrary conclusion. Amateur bomb makers usually blow themselves up, or have a history of accidental explosions. So instead of an amateur, we have an expert. But an expert at what? Simply, these are built expertly by people who build fake bombs for the movie industry. Movie industry? I wonder what Robert Di Nero has to say. 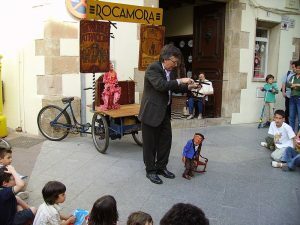 So in conclusion, what we are being force fed by news media is not news at all, but Street Theater. Will the non-exploding fake bombs dominate the news cycle through the mid-term election? I don’t know, but my prediction is that this story will be replaced by a succession of other outrages orchestrated by the same people. Hey folks, it’s all theater. Let’s grab our popcorn, put on our 3-D glasses, and enjoy the entertainment. And don’t vote for ANY Democrat! This entry was posted in 2018 midterm elections, fake news, Hillary Clinton, Hollywood liberals, Joe Biden, liberal hypocrisy, Liberals/Democrats/Left, Media, MSM, Trump Derangement Syndrome and tagged Fake Bombs, media lies, straw man, STREET THEATER. Bookmark the permalink. 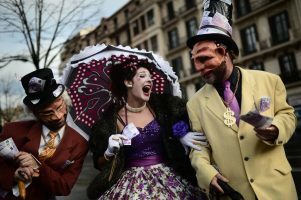 How many of these contrived “street theater” events have the Demonrats tried? Let’s see: Russian collusion, Stormy Daniels, Christine Blasey Ford, “migrant caravan” invasion, and now nonlethal package bombs. I’m sure I left out others that FOTM readers with better memories will remind us. President Trump is doing it all right. Driving the left liberal foreign interests sale out freaks out of their twisted minds with his U.S. first mentality. He must be doing a better job than we even know. I halfhearted watched a few minutes of this clown act from New Yawk yesterday. What immediately struck me was how noticeably forced and insincere the blather was from Cuomo and two other official clowns. Of course they knew it was a hoax, and their reluctance to be used as doormats couldn’t have been more obvious. Also, using Debbie Wasserman Schultz as the in-your-face common denominator of this hate-crime PC theater should enable even a bunch of high school kids to unravel this one. Desperation produces crazy-sh*t. Trump is plowing the fields toward a “Red Tsunami” on Nov. 6. The bolsheviks know what’s coming and have no response short of insurrection. Quick call the Crisis Actor’s Guild, we need a Timmy McVeigh patsy comrade! I just heard on the news that they have arrested a suspect. Let’s see what they have dredged up… I bet it is some drugged out zombie like the Parkland shooter or the Colorado Theater shooter…. This is their ‘alleged mad bomber”. Note the comments. Note the fact that he wouldn’t be allowed to drive this in Florida with all those stickers blocking the windows. Note the rest of the fraud. Alma will be proud to know that he is alleged to be a Cuban immigrant. Take a few minutes to look at these signs. They are professionally made. Does anyone think for a moment that he could be driving around with the passenger window blocked like that? They have him listed as a “registered Republican” but claim he is a convicted felon.